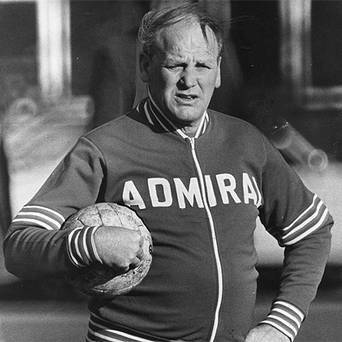 Shortly before Ron Greenwood was confirmed as permanent England manager in December 1977, the qualifying draw took place for the 1980 European Championship. It had been a bleak 1970s for England, having failed to qualify for four successive major tournaments (although they reached the quarter-finals of the 1972 European Championship, that was played over two legs so technically they didn’t qualify for the finals). They desperately needed a stroke of luck to help them on their way to major tournament and it came with this qualifying draw. Considering their poor recent qualifying record, England were fortunate to be seeded and then to land a group not appearing to contain any major threat. With the Danes starting their improvement towards being a stylish force in the 1980s there was no whipping boy in the group and this proved to be to England’s advantage. The other four sides would continually take points off each other as England kept on winning. An interesting subplot to the draw was the presence of Northern Ireland and the Republic of Ireland in the same group. As well as providing derby matches for England, this group would produce the first ever meetings between the two Irish nations. The prize for the group winners would be a place in the first European Championship finals to resemble a proper tournament, with Italy hosting the group stage before the final (previously only the semi-final onwards was played in the host country). Despite failing to make it to the 1978 World Cup, England went into their first qualifier in Denmark in September 1978 in good form. Since losing successive home matches in the 1977 Home International Championship towards the end of Don Revie’s reign, they had been beaten just once in 12 games. Greenwood may have not had the public support for the manager’s job of Brian Clough but he had made a good start, with a 4-1 friendly win over Hungary in May 1978 particularly encouraging. Liverpool had won successive European Cups and provided several players in the squad, while Nottingham Forest would go on to match Liverpool’s achievement and also have a number of men in the England set-up. If the success in Europe by English club sides could be carried through into the national set-up, then England would stand a chance of going on to win the competition. But for now simply qualifying for something at last was the basic aim. 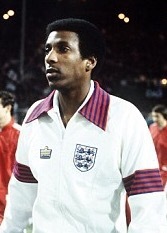 Viv Anderson makes his historic England debut in November 1978. 1978 had been a positive year for England and they served notice of what 1979 might bring when they welcomed group leaders Northern Ireland to Wembley in February for their next qualifier. Despite their physical approach attracting criticism from Northern Irish manager Danny Blanchflower, England enjoyed a good night as they triumphed 4-0. Latchford was not without his critics when he pulled on an England shirt but he scored twice, on a night when Keegan was particularly influential. It left Greenwood’s side looking a good bet to qualify. There was then a break of three months before England took to the field again in May for the Home International Championship, which they won after beating Northern Ireland (2-0) and Scotland (3-1) and drawing with Wales (0-0). The Wales match was significant for marking the England debuts of Kenny Sansom and Laurie Cunningham. Sansom went on to win 86 caps and be a near-permanent fixture in the left-back slot over the next nine years, while Cunningham’s call-up confirmed more black players would be following Anderson into the England side. 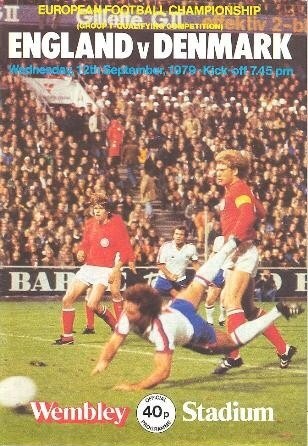 In June 1979, England faced what had appeared to be their most difficult looking qualifier away to Bulgaria. But it was a day when things went to plan for Greenwood, as a well-taken goal by Keegan was added to by efforts from Dave Watson and Peter Barnes as England triumphed 3-0 in Sofia. The match formed the start of England’s end of season tour, being followed up with friendlies away to Sweden and Austria. They drew 0-0 in Stockholm, before the 1978-79 season ended as it had started with England being involved in a seven goal thriller. However, in Vienna it was England on the wrong end of a 4-3 defeat as their attack minded line-up was punished and brought their first defeat for 15 games. In September, England resumed their quest to reach Italy with a 1-0 win over Denmark at Wembley, a match that went untelevised due to ITV being off the air. Viewers missed little of note, Keegan’s goal giving England an unconvincing 1-0 win as the Danes again suggested they may be more of a force going into the 1980s. “The match was more of a plodding exercise than an inspiring adventure,” rued an underwhelmed McGhee in his match report, reflecting on the lack of chances to keep spectators entertained. Kevin Keegan scores England’s winner against Denmark in September 1979. Although England had not been firing on all cylinders, they were still on course to qualify and they could realistically start the party in October after they visited Northern Ireland. They once more proved too strong for Blanchflower’s men, Trevor Francis and Tony Woodcock both scoring twice in a 5-1 win. Despite his record-breaking transfer the previous season from Birmingham City to Nottingham Forest, Francis had struggled to earn a regular starting place for England as Greenwood had previously persisted with Latchford (who would never be capped again). Qualification was sealed without playing on November 21, as the Irish derby was won by Northern Ireland to end the Republic of Ireland’s hopes. That night the fog fell at Wembley and England’s home match against Bulgaria was called off as thousands of fans waited outside. Most of them were back 24 hours later for a rare Thursday night international, by which time the fog had lifted. Keegan was a victim of the postponement, as he was called back to Hamburg. Indeed, England were without their first three choices of captain as Emlyn Hughes and Mick Mills were also absent, leading to Phil Thompson wearing the armband. 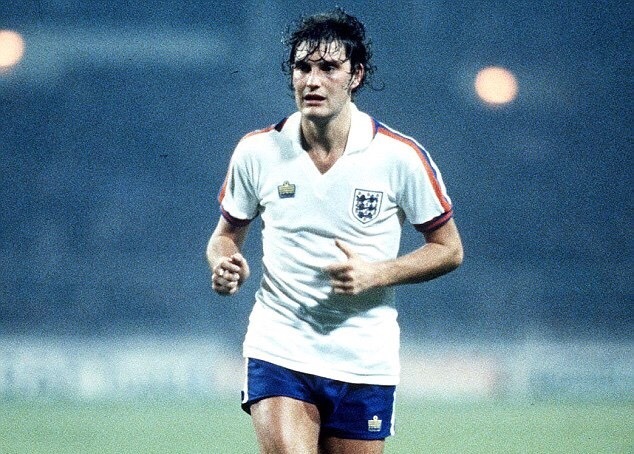 Glenn Hoddle enjoyed a dream debut against Bulgaria in November 1979. That brought the curtain down on the 1970s so far as England were concerned, but their qualification campaign would unusually span two decades. 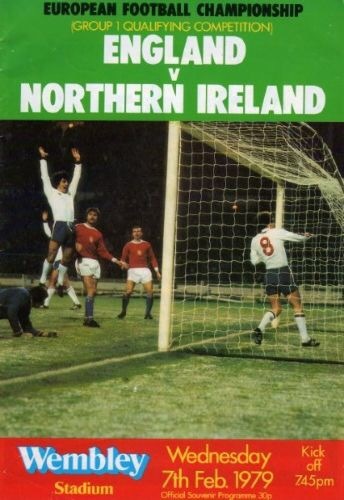 Just four months before the finals were due to begin, Greenwood’s men hosted the Republic of Ireland for their final qualifier in February 1980. By now much of the emphasis was on preparing for the finals, but England also had the motivation of finishing the group unbeaten, with no goals conceded at home and just one point dropped along the way if they won. That remained the case as Keegan scored twice, the second goal being a glorious chip to complete a 2-0 win. The match saw West Bromwich Albion midfielder Bryan Robson became England’s latest debutant, winning the first of his 90 caps. Returning to the side after more than four years was Liverpool’s David Johnson, although he would go off injured after a clash with Irish goalkeeper Gerry Peyton. And so England finished the qualifying group with seven wins and a draw from eight games, finishing six points clear and having regained the winning mentality. But such is life that the England qualifying campaigns most frequently recalled are those when they either failed to qualify or only got there after it went to the wire. This was an instance when England qualified with comfort, but it is seldom talked about. They went into the finals of Euro ’80 (or Europa ’80 as it was generally known at the time) as one of the favourites, but the tournament would be a disappointment as England failed to advance from their group and their hooligans brought shame on the nation. The one consolation was England were finally back at a major tournament. And they had got there with conviction. Bulgaria did not qualify for the 2nd round, nor even win a match, at the World Cup finals until 1994. However, this detail doesn’t detract too much from the general point made. They reached the second round (without winning a match!) in 1986 as one of the best third place sides, losing to Mexico. Ah, of course they did. Scotland managed to win 3 games at the World Cup up to that point and a 4th in 1990, without ever getting past the 1st round. It’s just no fair.